A CCTV image of a man missing in Aberdeenshire has been released as concern for his safety grows. 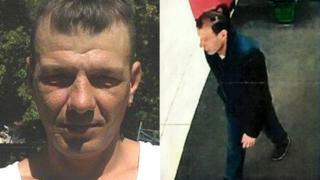 Marian Pavel, 45, was last seen in Huntly last Wednesday evening. The image was captured at the town's Asda at about 18:30, an hour before he was last seen near the Dean's shortbread factory at Steven Road. Police Scotland said the Romanian national is about 6ft 2in tall, with brown hair which is shaved at the sides and usually pulled back in a ponytail. Insp Matt Smith said: "As time goes by we are increasingly concerned for the welfare of Marian. "He may have sought shelter in the Huntly or surrounding area so we are urging residents to check any sheds or outbuildings that they have. "I would also ask that farmers in the area check their properties. "Marian has been missing since Wednesday last week and may appear disoriented."